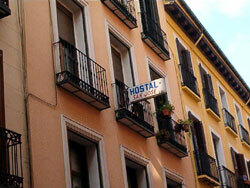 Hostal San Jose near Gran Via in Madrid, Spain. 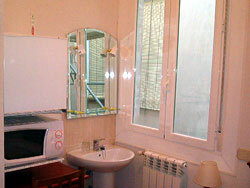 This hostel is located in the city center, very near Gran Via street and the most important commercial area and cultural areas. 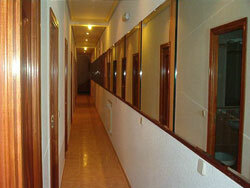 In this hostel you will find all the services that you need in order to have a very cozy and cheerful atmosphere. The hostel as double and single rooms and the most important service is the free Wi-Fi internet access in each room 24 hours a day. 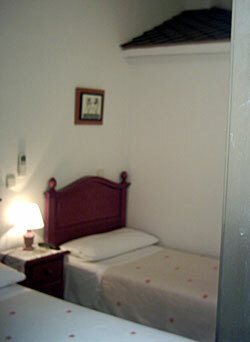 The rooms include air-conditioning, TV, and small fridge. Location: The hostel is located near the metro stations Callao (line 3 and 5) and Noviciado (line 2). It is also close to the metro station Gran Via (lines 1 and 5) and Tribunal (lines 1 and 10).